Long Sleeve Layered Look Shirt! 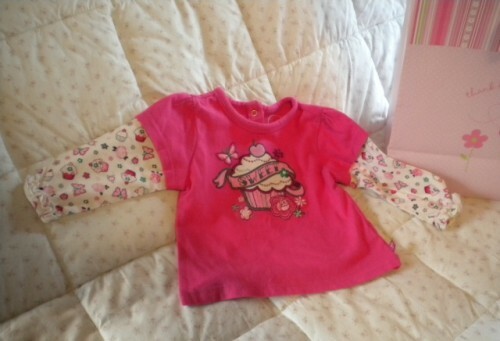 Hot Pink with cupcakes, flowers and butterflies on sleeves. 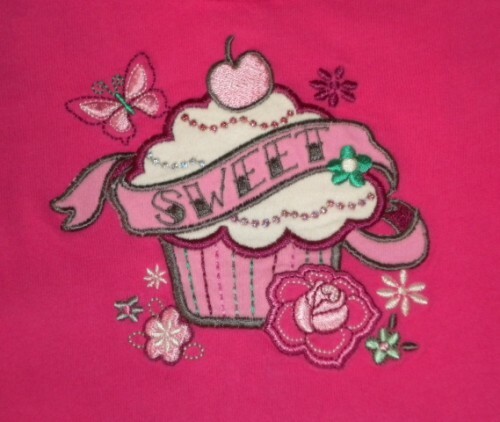 Cupcake on front of shirt with SWEET written across it. Snaps at neckline in back.